It is important to consider the security of your home when you plan your landscape. A burglar will choose the house with tall shrubs and trees that provide hiding places. Homes with little or no outdoor lighting are preferred targets as well. Plan your landscape with home security in mind. There are a number of simple steps you can follow to have a nice landscape and deter burglers. Make sure trees are trimmed away from windows and skylights so that the branches don’t provide a “ladder” into your home. If you plant shrubs near windows and walkways, plant low shrubs to prevent hiding places for intruders. 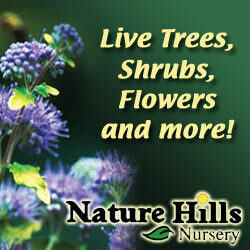 If you already have shrubs, trim them so they do not cover windows or hide doors. Make a stone ground cover under windows, such as river rock, part of your landscaping. When walked on, it makes noise that will attract attention. Assure there is a clear view of your doors and windows from the street or from your neighbors houses by trimming trees and shrubs. Privacy is great, but too much can make your house a desirable target. Plan for outdoor lighting. You might not want to keep the outdoor lights on all night, so install motion-detector lighting, especially in your backyard if you have privacy fencing around your yard. The major problem with such lighting is that it is easily triggered by movements such as a branch swaying in the wind. There is lighting available that is infrared sensitive and will respond to the presence of a person. Think like a burglar when looking at your house. Where would you try to break in? Finally, pay attention to what is happening in your neighborhood. Become familiar with the normal activity, such as when your neighbors are normally gone and what vehicles are normally around. You don’t have to be a nosy neighbor, but knowing a little about your neighbors habits will allow you to notice when suspicious activity might be occurring.